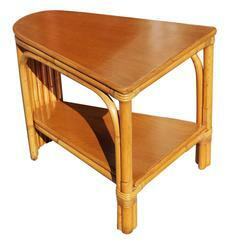 Two-tier bent rattan corner side table with laminate Mahogany-style tabletop. Professionally restored. 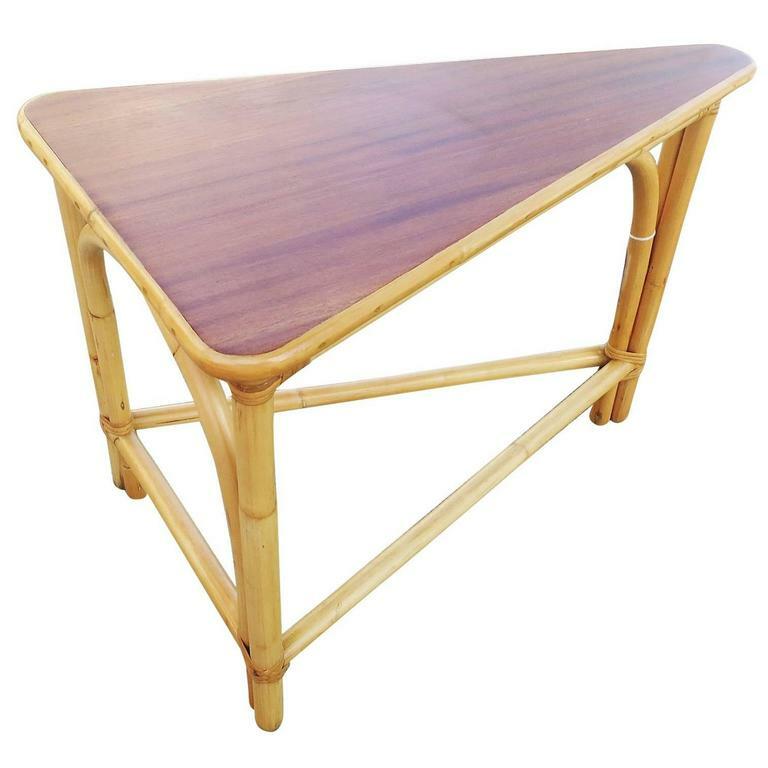 All rattan, bamboo and wicker furniture has been painstakingly refurbished to the highest standards with the best materials. 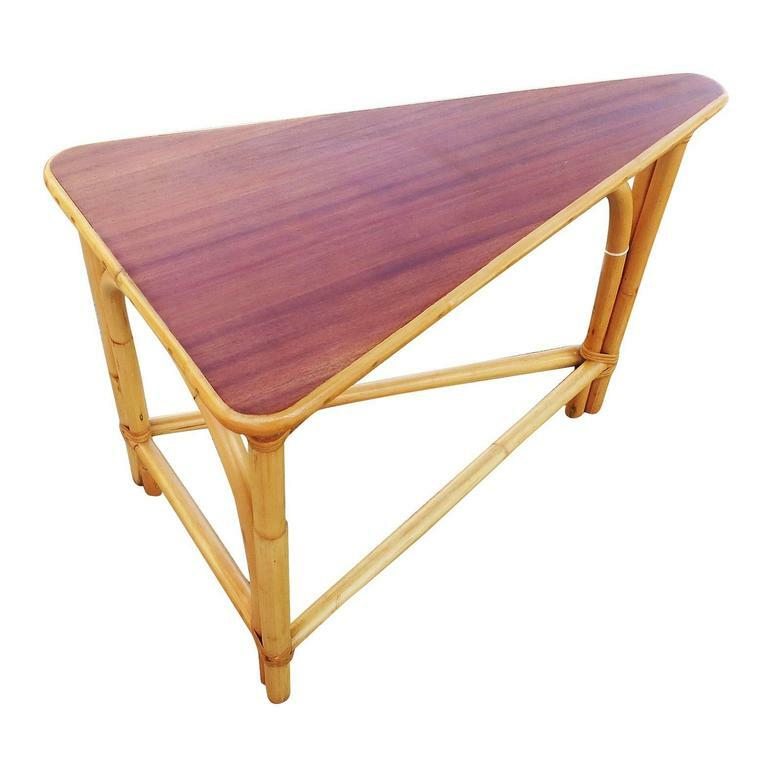 All refinishing is done by rattan workers with over 20 years of experience in rattan refinishing. 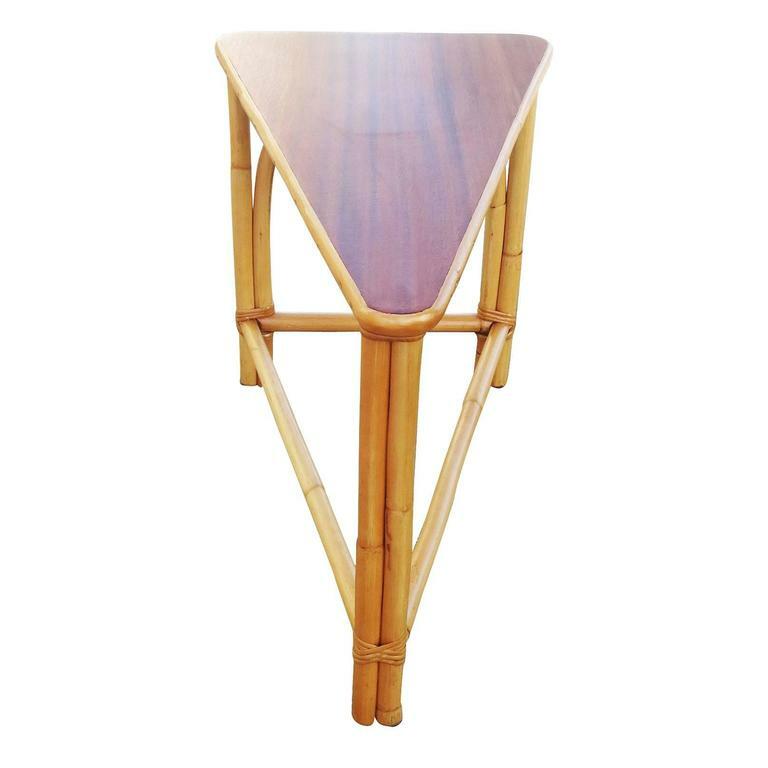 Every wrapping and joint has been inspected by “The Rattan Man” Harvey Schwartz to guarantee you the finest product available for years to come for your home or office. 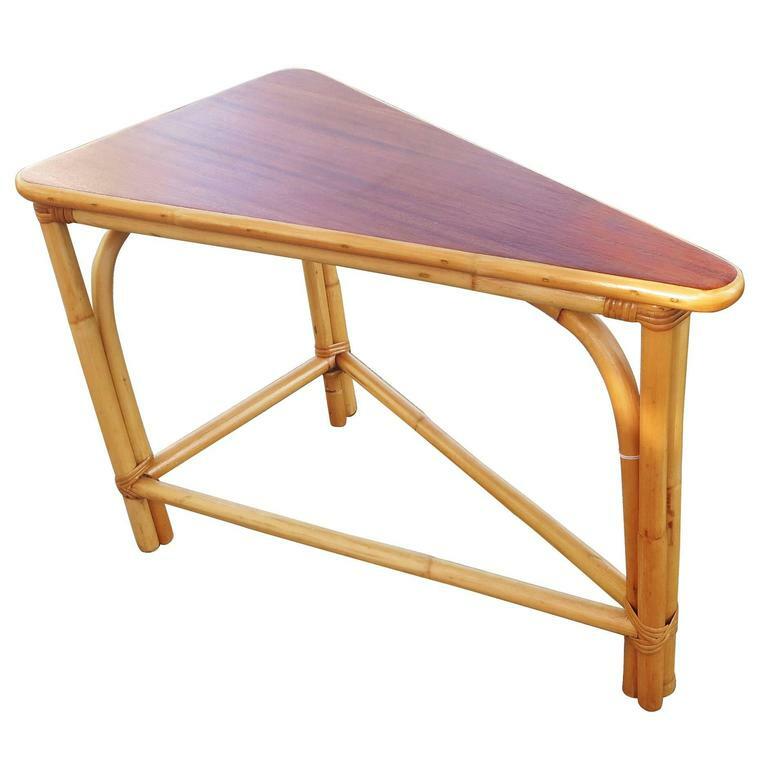 We get our handed down knowledge from Tropical Sun Rattan ( TSR ) which was started in 1934 in California. 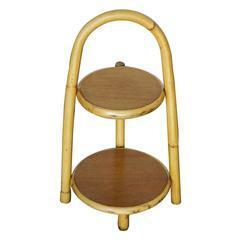 Look for all our Rattan on 1stdibs by TSR. Harvey Schwartz is the leading expert in vintage rattan and author of "Rattan Furniture: Tropical Comfort Throughout the House." Signed copies are available on request for $39.99 USD. The hard bounded 160-page full-color book details the fascinating History of Rattan with wonderful vintage and modern day photos of Tropical decors and Rattan; the book is great for any beginner wanting to learn as well as a top resource for dealers and designers alike. 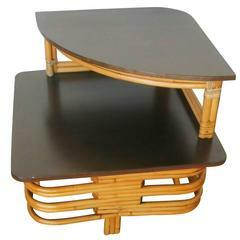 Round mid-century bamboo and rattan side or coffee table with laminated top. 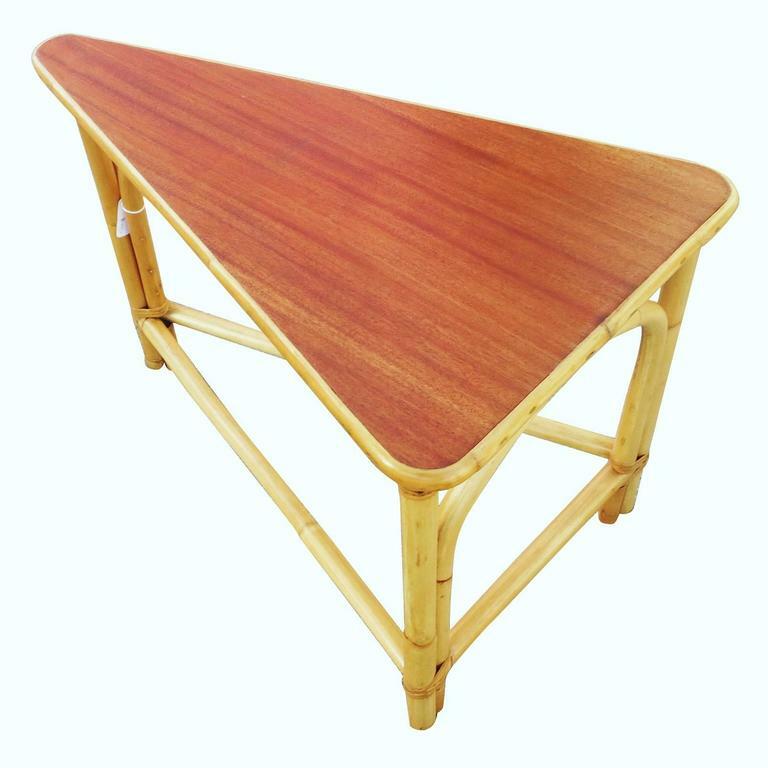 Pair of chic two-tier walnut side tables. 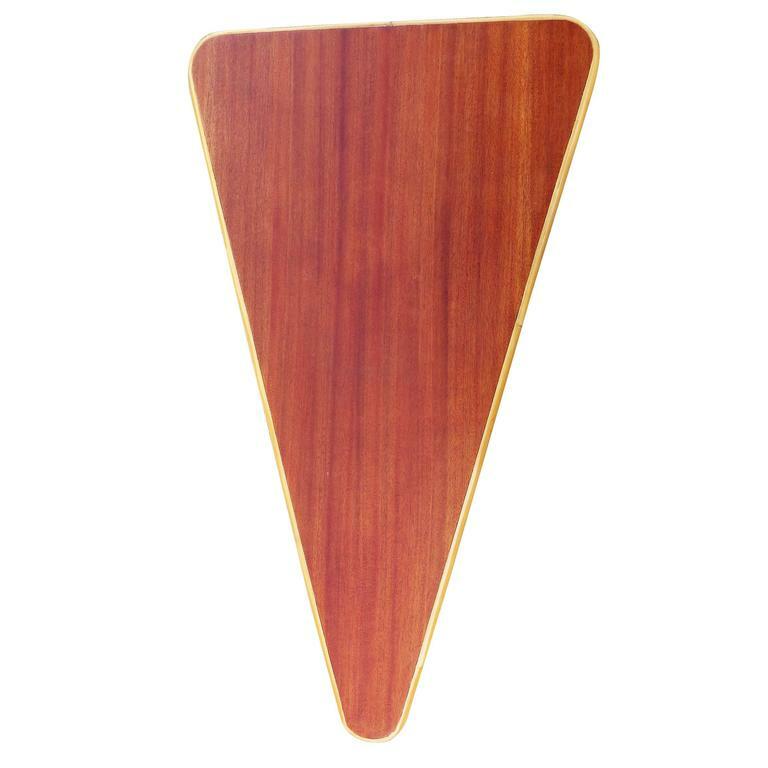 Beautiful rounded edges and profiled top. Rare in such excellent original condition.